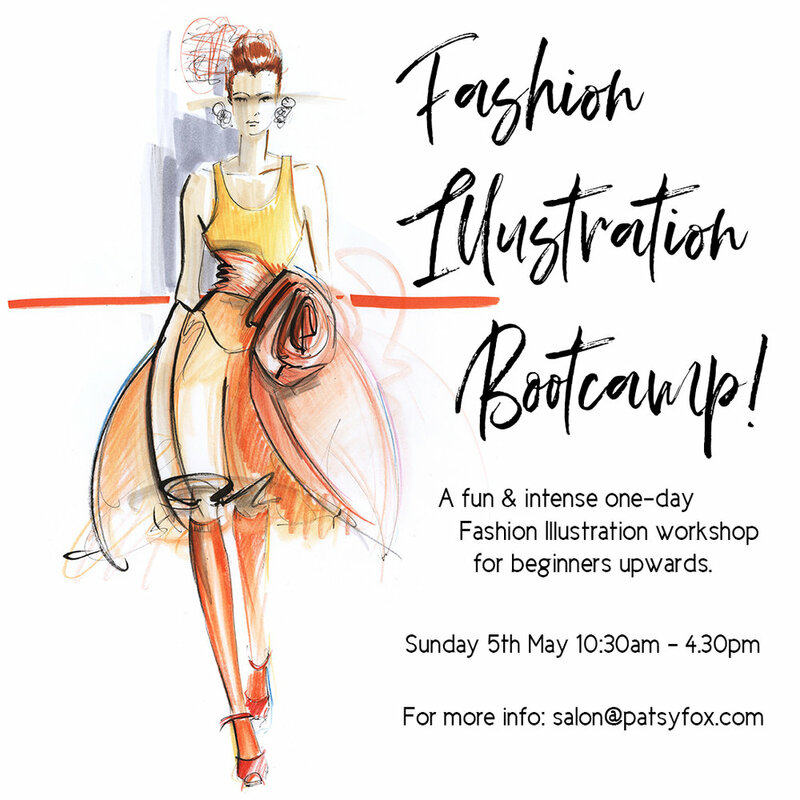 If you've been wanting to tackle a course in Fashion Illustration but haven't been able to find the time, or maybe you want to try it out before you commit, then a one-day bootcamp might be for you. This workshop functions like a mini Fashion Illustration course - an intensive day where you will go from the absolute basics through to full fashion figures rendered in colour with movement and depth. Starting with the basics of fashion figure proportion, we will move through the theory of pose structure and how to get the pose down on paper with a fashion feel and look, then learn marker pen techniques. You will be exhausted but utterly satisfied, and go home with some brag-worthy drawings. Perfect for complete beginners or those wanting to brush up or sharpen up. Classes held in the beautiful studios of Frankie and Swiss in Sth Yarra. Includes snacks, tunes, and some materials including paper. What you'll need to bring: HB, 2B pencils, eraser, coloured pencils, Copic marker pens ("0" colourless blender, flesh tone of your choice, 2 or 3 shades of grey - eg. Cool Grey #2, #4, #7), black sharpie.